Gordon & Dennison, located in Brookville, Pennsylvania, is a personal injury law firm helping clients with accident cases, slip-and-fall cases, wrongful death, medical malpractice, nursing home negligence and premises liability. Serving Jefferson County and the surrounding region, our attorneys have experience on the other side of personal injury — representing insurance companies — and therefore know the ins and outs of how to get you the best possible result for your case. With more than 50 years of combined experience, our experienced litigators can also help in other areas of law — such as estate planning, business and commercial law, probate and estate administration and real estate transactions. Whether you have been in an auto, motorcycle or truck accident, you can rely on professional and thorough representation you need to get the compensation you deserve for your medical bills and lost wages. At Gordon & Dennison, you will never be passed on to a junior attorney — you will get personal attention from lawyers Jeffrey M. Gordon and John C. Dennison throughout your entire case. 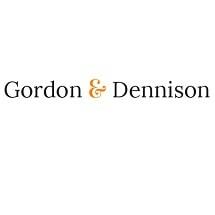 Gordon & Dennison offers free consultations. After an accident or injury, we help clients understand what their medical insurance covers, what their car insurance covers, and what you may be able to recover from the other party. Gordon & Dennison provides the skill and experience you need to aggressively recover damages, along with the personal attention that a smaller firm can offer.